Bands, Brew & BBQ tickets and Montgomery Gentry Giveaway Right Now!!! 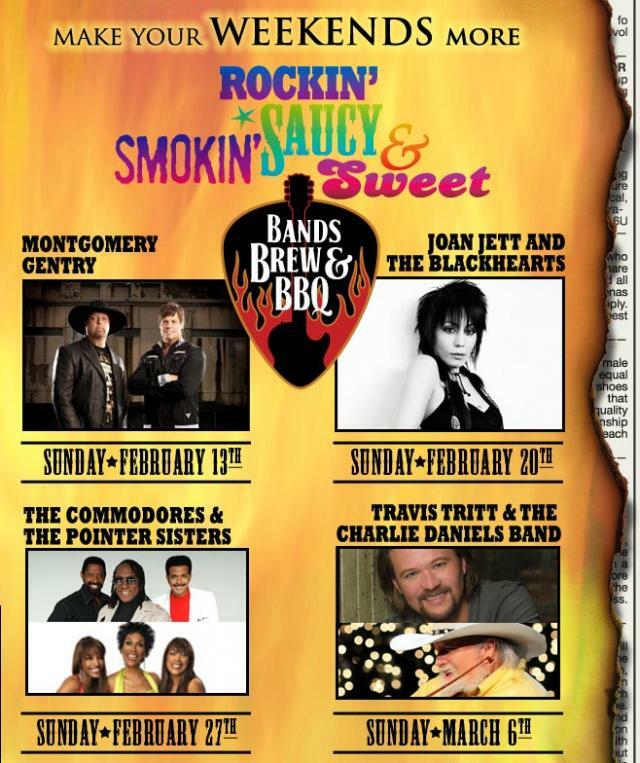 Montgomery Gentry kicks off the exciting concert lineup for 2011’s Bands, Brew and BBQ at Busch Gardens Tampa Bay this Sunday, Feb. 13. These guys are best known for their chart-topping hits including “If You Ever Stop Loving Me," "Something To Be Proud Of” and “Back When I Knew It All,” the explosive country duo will heat up the stage on Gwazi Park at 5:15 p.m., and you... that&apos;s right I said YOU will have a chance to win a pair of tickets to see them live and in living color! We are so cool, we are even giving away passes to the meet and greet which will give you access to the band and if you&apos;re lucky enough, you may even get a picture! Now all you have to do in order to have a chance to win is play along and answer some trivia for us via our Facebook and/or Twitter Pages! Now all of you should be familiar by now with how we do these giveaways, but in case you are not let me remind you! Its not that hard really, as all you have to do is answer the three trivia questions I throw at you. Then if you have the correct answers you are entered into a random drawing! For those of you playing on Twitter, it does increase your chances of winning if you Re-Tweet the original trivia tweet. Facebook users just be sure to get the question correct as well. Answers submitted via the comments section of this blog do not count. Long before the billboard chart topping days, band-member Eddie worked at this bowling alley owned by David and Rose Mahan? In 1994, Troy Gentry won this talent contest and he began to open for acts such as Patty Loveless and Tracy Byrd. Before the duo&apos;s formation, band-members Eddie and Troy sang together with this award winning country music artist in a band called Early Tymz. Okay folks that should pretty much stump you, and I am hoping I did, because if no one answers correctly then I get to keep the tickets! Just joking of course, but hurry up and get your answers in as we will announce the winners at 3pm eastern time! Happy trivia hunting and stay tuned in for more fun updates on Tampa Bay area events and things to do in Tampa Bay! Make sure also thank the fine folks at Busch Gardens Tampa Bay for allowing us to do this giveaway today! Drop them a line at their Twitter or Facebook accounts!